In six months they would break ground on a new building that included classrooms, a library, and an innovation center. The school had already hired a director of innovation who was to begin that summer, a year in advance of the innovation space opening. This was a sign that they had strong leadership with a clear vision. They intuitively knew that they needed to integrate the concepts of creativity and innovation throughout the core curriculum or they’d end up with an underutilized space and several special subjects to work into the schedule. But how can a school truly incorporate “innovation” to permeate and support its core educational mission? This is a case study outlining one school’s approach to integrating the principles of innovation and creativity to support its core educational mission. This school took advantage of a new building process as a catalyst for positive, strategic change. But innovative change is personal and based on each unique school’s specific mission, vision, and challenges. A dedicated innovation center is not necessary to integrating innovative principles into the curriculum. This article should not be regarded as a blueprint, but as example of one school’s approach that can be customized to meet a wide spectrum of school situations. Rippowam Cisqua School (RCS) is an independent school just outside New York City serving preschool through ninth grade students. Its upper school houses the fifth through ninth grades and is located on a separate campus from the preschool through fourth-grade lower school. The school has roots in a rigorous yet child-centered approach to education and is known for its excellent language arts and public speaking programs. Almost a decade ago, a board-level strategic planning process revealed the need for a new building on the upper campus. RCS was founded in 1917 and for years had been outgrowing its physical space. When the architectural design process began in 2014, the word “innovation” rose to the top of many discussions. Nationwide, the importance of innovation and creativity was beginning to be recognized on a broader level. The top skills needed to thrive in the continuously changing world of the 21st century are clear. A World Economic Forum report recently named them as: complex problem solving, critical thinking, and creativity (World Economic Forum, 2016). In fact, all three of these skills are integral to the creative thinking and problem solving process. RCS leaders knew that the new building process provided an opportunity to re-examine how creativity and innovation might support the continued growth and evolution of the school as a thought leader in innovation and creativity best practices. Strategic change requires a strong leader and as building plans were underway, Colm MacMahon was hired as head of school. Colm has a strong vision and understanding of the future of education. He is committed to RCS’s child-centric approach to engage all students so they can experience deep learning and growth. He also knew that the new building with its cutting-edge innovation space had the potential to support the school’s entire educational mission if approached strategically. To that end, over a full year before the innovation space ribbon cutting, Colm hired a director of innovation, Miles Cameron, who had been part of the art department and involved in the development of the maker curriculum at Riverdale Country School in New York City. Miles had a strong track record integrating creative thinking with core curriculum, is an expert on all materials and tools one might find in an innovation space, and is an excellent collaborator. In the spring of 2016, Colm had a building in the works, an incredible new hire to lead the innovation efforts, excellent leadership skills, and a strong board behind him. But how was he going to lead innovative change that would engage faculty from the ground up and leverage, rather than upend, the school’s culture and traditions? Kathryn Haydon of Sparkitivity was introduced to the visionary chairwoman of the Rippowam Cisqua board, Kirtley Cameron. We had an initial meeting with Colm MacMahon where Kathryn listened to the school’s vision and goals, asked questions, and spoke a bit about the scientific meaning of innovation and creativity and how these terms relate to the classroom. WHAT IS INNOVATION? WHAT IS CREATIVE LEARNING? Creative learning is the integration of creativity, content, self-growth, and collaboration. 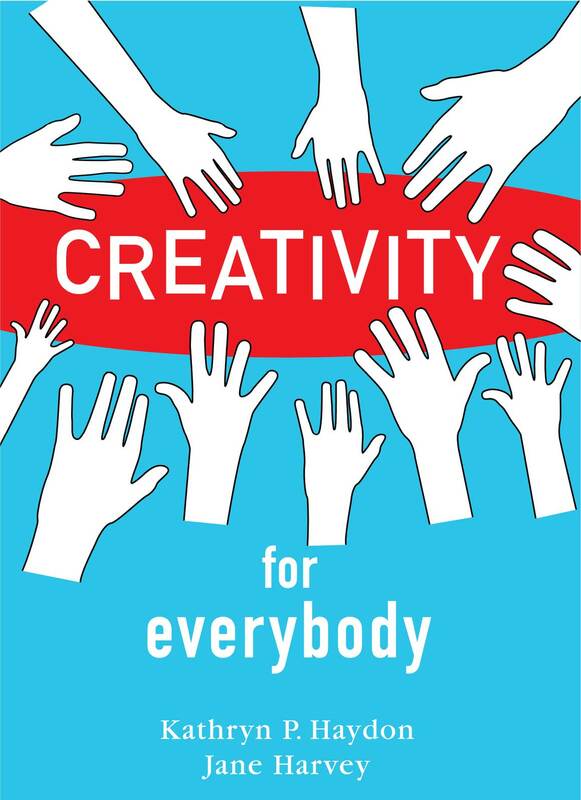 Everybody is creative; that is, everybody has the capacity to be creative, to use both ideational (divergent) and critical (convergent) thinking. When students are experiencing creative learning they utilize this full range of thinking abilities and they grow. Teachers do the same when they teach using creative learning practices. A recent comprehensive review of hundreds of studies and articles found that creative learning leads to students’ “improved academic achievement; increased confidence and resilience; enhanced motivation and engagement; development of social, emotional and thinking skills; and improved school attendance” (Davies et al., 2013). Creative learning practices boil down to best teaching practices. Many good teachers who aren’t over-constrained by tight curricula and timeframes teach this way naturally. Introducing them to creative learning principles enhances these teaching strengths and helps them use them more deliberately. Creative learning practices harness and build on strengths—of the school, the teachers, and the students. They allow people to use the full range of their talents to experience growth and progress. This type of personal growth does not occur if education is limited to the lower-level thinking realms of rote memorization and practice. Colm and Kirtley were gratified to know that they could have it both ways: innovation and creativity would enhance the school’s curricula and traditions. They both liked what they heard, and Colm expressed interest in Sparkitivity’s Creativity and Innovation Intensive for Leaders. Kathryn developed a tailored presentation to deliver to him in an hour and a half containing the research and practices from the science of creativity that he needed to know specifically for his purposes. They also explored a series of questions to dig deeper into his goals, vision, and challenges. Throughout the Intensive, Colm and Kathryn were on the same page. He had thought a lot about creative leadership and learning practices, including integrated learning, drawing on individual strengths of students and faculty, and integrating creative thinking with core curriculum. The principles discussed helped frame his thoughts and clarify a strategy. The framework for the Creativity and Innovation Intensive was the Sparkitivity Creative Learning Ecosystem model (Haydon, 2015). 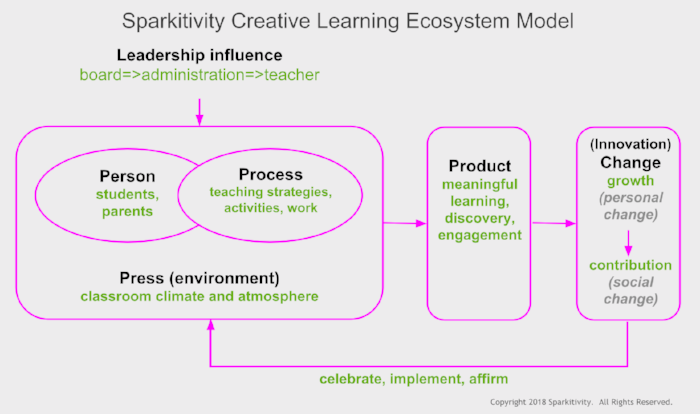 Based on the systems model of creativity which was introduced by Mel Rhodes (1961) and further developed by Puccio, Mance, & Murdock (2011), the Creative Learning Ecosystem model maps the interplay among several factors that work together to support innovative thinking and learning in school. In order to achieve true innovation, which in an educational setting is personal growth and contribution, we have to employ best practices throughout several domains: leadership, understanding students, teaching practices, and the classroom environment, especially climate and culture. These best practices serve to enhance the strengths of all involved—the school itself, the curriculum, the teachers and administrators, the students, and their families. It is not a plug-and-play program that usurps the way you do things, but fundamentally a mindset shift and simple tweaks that enhance what you are already doing. The Creative Learning Ecosystem model can be effectively used by progressive schools and classical schools, and everyone in between. Board. In any attempt at creative change, there are several categories of people to consider: leadership including the board and senior administration, teachers, parents, students, and the greater community. In this case, the board had generated the initial vision. Board members had the long view in mind and trusted head of school Colm MacMahon’s leadership approach. They had a five-year plan and he was not under pressure to produce immediate results; such pressure would have stunted our efforts because creative change takes time and effort to do well. Leadership. Change also calls for a strong and courageous leader to persevere, because as humans we are generally predisposed to resist change. Colm already used creative leadership best practices, so he didn’t need additional coaching. He was strong in communicating the vision to all constituents as he spoke about the possibilities of innovative change. Teachers and Students. The next step in the strategy was to establish a team and to engage teachers on a school-wide level. To that end, Miles Cameron and Kathryn Haydon partnered to design an end-of-summer professional development workshop for the faculty. This was the faculty’s introduction to Miles himself, to see examples of opportunities to collaborate with him even before the innovation space was built, and to introduce Kathryn as an expert in the process and supporter of RCS’s innovation efforts. The aim was to maximize the impact of this workshop by engaging teachers in design thinking/creative problem solving activities that they could apply to their own teaching content. They learned a specific way to enhance lessons, an easy shift that pays huge dividends in student engagement and learning. Teachers reported that the workshop was fun and inspiring. Many applied the strategies in their classrooms on the first days of school and shared with us the results. This kick-off was successful because the content was meaningful and applicable to teachers. It helped them enhance and energize their teaching strengths and they saw positive results in their students’ learning. Parents. One of the often overlooked groups of people that need to be involved in any innovative shift is parents. RCS did not overlook this group; in fact, parents were involved from the very beginning. In many of his talks, Colm MacMahon included talking points about innovation and creativity, about best teaching practices, and creative change. Parents were primed for this and they were given the opportunity to understand the framework of creativity on a broad level that fall. Kathryn Haydon was hired to deliver a keynote speech for parents and the community called: “Creative Thinking: Key to Your Child’s Future.” Parents were engaged and each received a copy of her book, Creativity for Everybody, so they could take home with them background on this framework and think about how to apply the ideas in their families as well. Innovation Liaison. Throughout this time, Miles was establishing a classroom-sized, low-tech imagination space on the lower campus (PK through fourth grade). He was gathering materials and setting up projects to show what is possible, even in a low-tech space. This lower school space was designed as a prototype, an experiment using a large supplies closet transformed into an imagination space. On the lower campus of the school, a new innovation space was not being built and extra rooms were at a premium. It is possible to work with what you have with excellent results; fundamentally the goal is to inspire teachers to enhance their approaches with integrated practices, new lines of questioning, and creative problem solving tools and processes. Miles started a before-school Maker Lab and it immediately filled, with more kids on the waiting list. He worked with teachers to design integrated learning projects incorporating engineering and problem solving. These included a popsicle stick bridge project, experimenting with lift using simple materials and a fan as a wind tunnel, experimenting with potential energy by making rubber band cars, and learning about gravitational force through zipline experiments and marble runs. Teachers individually recognized the room as an opportunity to use the space for experimental projects. First graders were able to add Little Bits circuitry to their urban-rural-suburban models. Young students built three-dimensional letters to make language arts come alive. On the upper campus, Miles did the same. Though they didn’t have a space, he helped teachers develop low-tech integrated learning approaches to teach their content. One collaborative project was the Revolutionary War day for middle school humanities students. (Read the full story here.) The seventh-grade humanities teacher had the idea to design for students an immersive experience of a day in the life of a Revolutionary War soldier. Miles helped identify, gather, and organize materials for tent building and fire making. He also provided the expertise to teach the students these skills. In another instance, a science teacher had long envisioned a project wherein students would build models of human joints. He hadn’t actualized this because he didn’t know the best approach or which materials to use. Miles worked with the teacher to understand the goals, built a prototype as an example, come up with the steps to the project, and develop a rubric to assess the students on their learning. This type of integrated learning is always tailored to the constraints or resources of an individual classroom or school. It is not dependent on space or budgets, but only on the creativity of teachers to envision such projects for their students. Even without a director of innovation, when a spirit of collaboration underlies the school culture, teachers can tap into the expertise of colleagues or use their resources to find the expertise they need for certain projects. They can also bring creative learning into their classrooms with simple strategies and ongoing motivation. The teachers at Rippowam Cisqua were engaged in the initial professional development workshop on a broad level. Many were working with Miles on integrated learning collaborations. But the success of an effort to incorporate true creative learning practices throughout the school must include an ongoing effort to support and motivate teachers to use them. Otherwise, creativity becomes another special subject that will one day get cut at the master scheduling chopping block. We cannot separate core learning from creativity. Creative thinking is the highest level of thinking and when it is incorporated in all subjects it drives the highest levels of student learning and growth. (Again, this takes a mind shift and is not as hard as it might sound). One of the most effective approaches to professional development is an ongoing approach. Schools like The Blue School in New York City keep their teachers inspired and infused with new ideas by having professional development workshops every Friday. 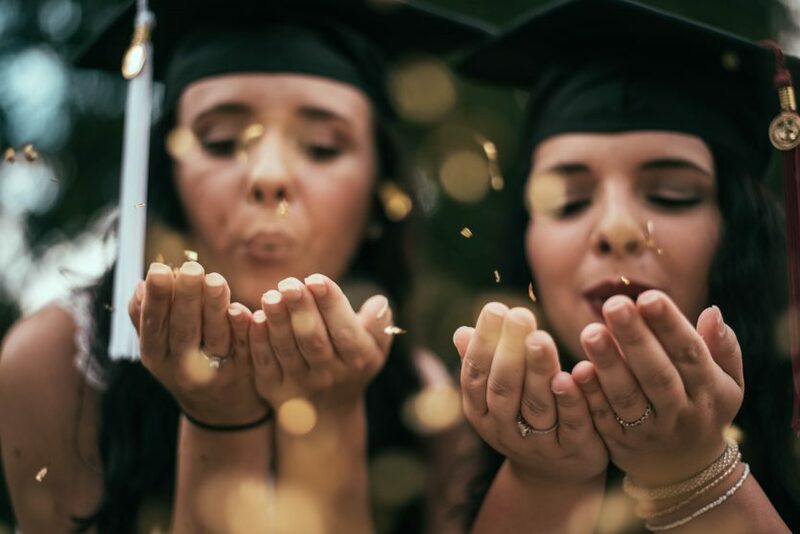 This may be difficult to schedule in most schools and the cohort approach provides a more attainable alternative, both from a budgetary and scheduling standpoint. At RCS, head of school Colm MacMahon wanted to create lasting change. Such change requires strong leadership at the top, but also a desire on the part of the people who are responsible for doing the day-to-day work: teachers. Thus, we opted for the Creativity Cohort Model, a slow and steady grassroots approach inspired on Colm’s end by his own Theory Into Practice Cohort experience Berkeley Carroll School in New York City. The Creativity Cohort Model is designed to provide a small group of teachers with a collaborative team, idea exchange, and ongoing training and professional development directly tailored to their unique teaching needs. Teachers are busy and when they take time for professional development, they want it to directly apply to their own classrooms. A Creativity Cohort makes this possible. It is also designed to generate a ripple effect. If we are truly inspiring and providing value to teachers, they are apt to share with other teachers and bring them into the process. In RCS’s case, Colm collaborated with director of innovation Miles Cameron to select an initial group of six teachers for the first Creativity Cohort, three from the lower campus and three from the upper campus. Two-hour, once-a-month after-school meetings were scheduled from January through May. Each cohort member committed to attend these meetings and they were treated as the VIPs they are, with drinks and snacks provided by the kitchen. (upper campus) to enhance the student experience. The training series was designed using the Creative Learning Ecosystems model as a framework along with the school’s innovation and creativity goals. The following year six teachers were selected for the second cohort. The needs of the second cohort were different, partly because of the change in physical environment. The new building with the innovation center was open on upper campus and a new goal was to shift what had been done the previous year in a conference room to take advantage of the new space and demonstrate its potential uses. Every session is approached as an opportunity to iterate and improve by more clearly perceiving teacher needs. Creativity is always customized because it is so individual and personal, yet there are tried and true strategies that make it fairly easy to do so. Kathryn Haydon’s involvement is to work with Miles to design the cohort trainings and provide background support on overall innovation strategy. Concurrent with the Creativity Cohort efforts, Miles has been “boots on the ground” in the school. In the innovation center, he daily models creative learning practices and collaborates with teachers to teach content in history, science, math, and language arts alongside problem solving skills like design thinking. Collaboration skills and teamwork are emphasized in all the work done in the innovation center. One student used Adobe Illustrator to digitally design a sign language alphabet project that was printed on the laser cutter. Others have used Tinkercad to design 3D models to print a model civilization for a humanities project. Students have even learned how to safely use woodworking tools to prototype entrepreneurial solutions to a global issue related to the water cycle. The rich learning taking place in the innovation center and classrooms is inspiring teachers to try new ideas and incorporate new dimensions into their teaching. At all levels, this idea of positive, creative change is being infused into the culture and practices of the school—all to the end of facilitating learning that deeply engages students and helps them grow as individual thinkers and learners. many, many teachers are collaborating with Miles in the innovation center on significant curricular projects, and students are asking for more. The Creativity Cohort approach is designed to deeply engage and inspire teachers in the same manner we want them to engage their students. Its intent is to create a ripple effect to gradually make the needed shifts to more sustainably support creativity and innovation—in the culture, the curriculum, and the interactions among constituents. When you meet people on an individual level and give them structures and strategies that tap into their strengths, they become inspired by the growth and progress they experience and they contribute even more fully to their jobs or communities. As they celebrate these tangible results, an iterative cycle is perpetuated wherein best practices are reinforced and the organization continues to flourish. This is what is beginning to transpire at Rippowam Cisqua School as a result of its strategic, multi-level effort toward incorporate the concepts of innovation and creativity into its core mission. Chairwoman of the board of Rippowam Cisqua, Kirtley Cameron, said recently that the idea of innovation has always been core to the school’s identity. The board members knew that pursuing this focus on innovation was right, even though they didn’t know quite what it would, or should, look like. This happens to be one of the most important mindsets for achieving truly innovative results: tolerance for ambiguity, or the ability to navigate situations that don’t yet have a clear solution. This leadership approach models the mindset needed for sustainable change. Kirtley was right when she said that innovation must look different at every school to be genuine. So many schools know, like Rippowam Cisqua did, that innovation and creativity are important. Yet, running a class in design thinking or creating a Maker Space don’t on their own result in a fundamental shift in student engagement, depth of learning, or the development of essential creative problem solving skills. Many independent schools have built incredible innovation spaces that become centers for excellent special subject or after school classes but they are trying to figure out how to more deeply connect them to the school’s overall curricular goals. Strategically approaching innovative change through a grassroots model customized to a school’s individual needs is a recipe for longterm, sustainable growth within an inspiring and empowering process. 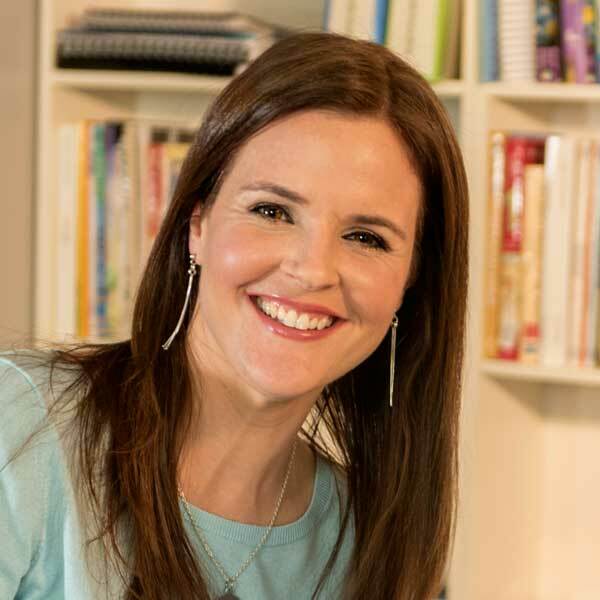 Kathryn Haydon, M.Sc., is the founder of Sparkitivity and co-founder of the Creativity Cohort at Rippowam Cisqua School. She works with leadership teams to create sustainable cultures of innovation, and with teachers at independent schools to integrate creative thinking across academic content. 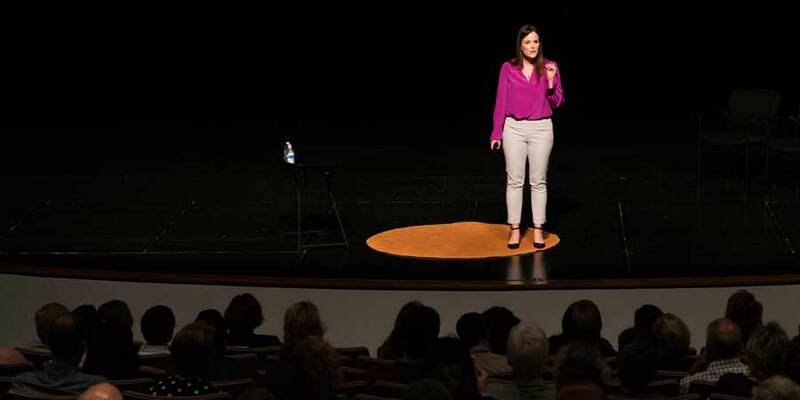 A former award-winning second grade, Spanish, and enrichment teacher at an independent school, she has written and spoken widely on the topics of creativity, creative learning, and supporting creative and gifted students. She co-authored Creativity for Everybody (2015) and Discovering and Developing Talents in Spanish Speaking Students (2012), and her writing has appeared in The Washington Post and other top publications. Kathryn is a graduate of Northwestern University, and she holds a master of science degree in Creativity and Change Leadership from the acclaimed International Center for Studies in Creativity at SUNY-Buffalo in New York. Davies, D., Jindal-Snape, D., Collier, C., Digby, R., Hay, P., & Howe, A. (2013). Creative learning environments in education—A systematic literature review. Thinking Skills and Creativity, 8, 80-91. Puccio, G. J., Mance, M., & Murdock, M. C. (2011). Creative leadership: Skills that drive change. Thousand Oaks, CA: Sage Publications. Rhodes, M. (1961). An analysis of creativity. The Phi Delta Kappan,42(7), 305-310.